The Science Museum, located in London's South Kensington neighbourhood, is one of Britain's oldest and most popular museums. Made up of historic collections, modern galleries and fascinating exhibitions, the museum never stands still, with new displays, shows and exhibits being announced throughout the year by the museum's organisers. 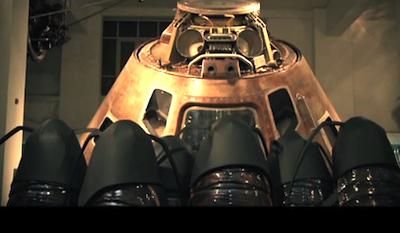 A single day here would be nowhere near long enough to take everything in, and as a result, many families make a visit to the Science Museum part of their itinerary each time they come to the UK's capital city. 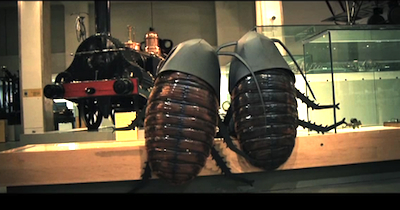 If you've never been before, a great way to get your bearings is to be shown around by those who know it well – in the case of the Science Museum, we're talking about the resident cockroaches. But wait. These aren't real 'roaches. That would be just plain odd. We're talking about expert guides dressed up as cockroaches, which, admittedly, is still a bit odd. Kids absolutely love it, though. The free tours, which last for around 45 minutes, take place four times every weekend – twice on Saturdays and twice on Sundays – at 2pm and 4pm. Places are limited, so you're recommended to book before you go by calling 0870 870 4868. If you're a bit on the squeamish side and find the idea of meeting a bunch of cockroaches on the weekend utterly abhorrent, then take a moment to consider that these particular critters will be the friendliest ones you'll ever meet. They're smart and knowledgeable, and nothing like the ones you encountered on your last overseas holiday which ran across your bed in the middle of the night just as you were dropping off. Check out the amusing promotional video below introducing the cockroach tour of the Science Museum. Why? Because it sounds rather absurd – but fun. When: Every Saturday and Sunday at 2pm and 4pm.